Picking up where we left off last episode, we get more insight into God!Chuck, the ultimate plan, and how all the pieces will hopefully fall into place before the world crumbles under Amara’s wrath. It seems like an insurmountable task, but the Winchesters have never backed down from an impossible challenge. We got to see more with God!Chuck, for better or worse. He proved himself to the boys when he instantly zapped them from the town back to the bunker. And when he sent Kevin up to Heaven, finally, he endeared himself to both the Winchesters and me. The way Sam and Dean reacted to the truth, though, said a lot about both their characters and what they still hold true within themselves. Sammy’s falling all over himself while Dean’s a bit more reluctant. I was glad to see Sam has retained his religious connection despite all the rough roads he’s had to travel. He’s still someone who latches onto the goodness of faith, even when angels have often failed him in that respect. He’s the boy who prayed, that remains true. But Dean has questions before he can fully believe. 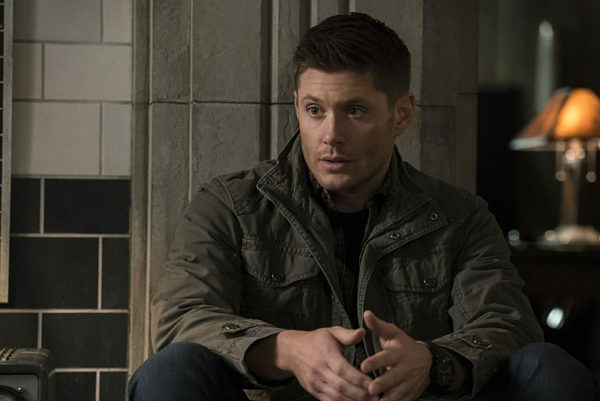 Chuck’s been gone a really long time and ignored everyone, for which Dean needs answers as to why. He’s had fatherly abandonment to deal with in his past and he doesn’t need to go through it again. And while Chuck tried to explain why he stepped away, to let humanity grow up, it’s a hard line to walk. Metatron’s involvement felt better than usual, sharing the truth behind what God’s plan is before finally sacrificing himself. I always said I wished he would go away, as his storyline started to wear thin for me, but having his death be meaningful was better than a random destruction. 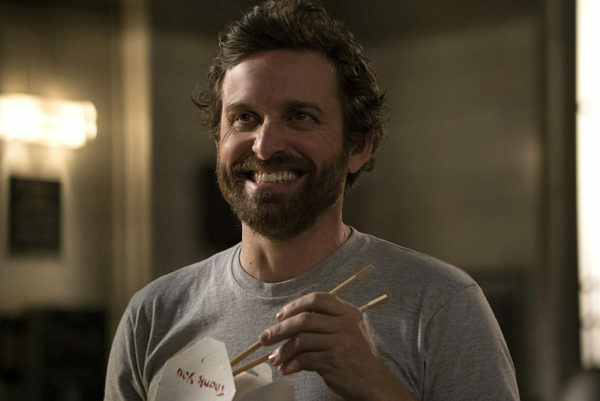 He’s one more child who just wanted his father’s approval, and felt like he was favored until Chuck tore him down and made it seem like his choosing Metatron as the Scribe was random. But Metatron does not want to believe that, does not want to have a life that was meaningless. Instead, he wants to make a difference in this fight, and in the end he did. I’m not on board with God’s fatalistic plan. I understand that he thinks that trading himself for the protection of humanity is an even exchange, but there’s no guarantee that Amara will let the world stand. And if this doesn’t work, he really expects humanity to step up? Nice thought, but not so great on the follow-through. God’s sister is impossible to defeat without some serious power behind them, so the Winchesters really need to make sure Chuck’s still in the game when the time comes. With his favored child sprung, perhaps they can all work together and put aside their differences for a bit. It was nice to see the anger and frustration from Chuck on this front, too. 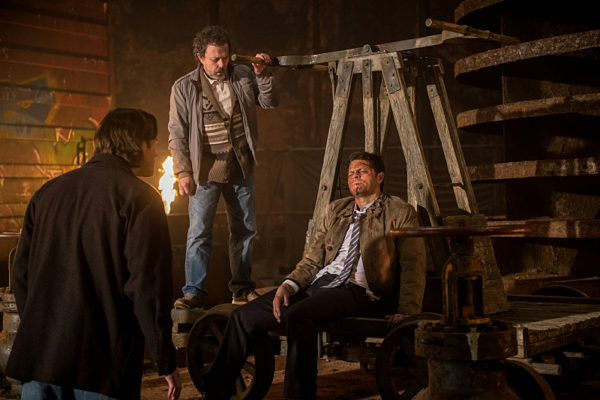 He put his sister and Lucifer away in their prisons for a reason, and they’re both out because of the Winchesters. I can see his side of things and I’d be ticked off, too. But they can’t go back and change the past now, so they’ll have to deal with things the way they are. I’m not sure how much power Amara will continue to hold over Dean, or how long he’ll be able to hold out, but I hope he can do it. The visions and utter lack of defense whenever he’s around her are unnerving. But at least he’s being honest with Sam. There is no time for secrets. Will Donatello the prophet come back again? It didn’t seem like he contributed much overall, so it feels like it was setting him up for the future eps. We shall see. We’re coming down to the wire here. Who’s going to make it out alive?